Continuing my L. M. Montgomery reading for this month’s challenge, I finally picked up a nonfiction book that’s been on my shelf for probably a couple years. 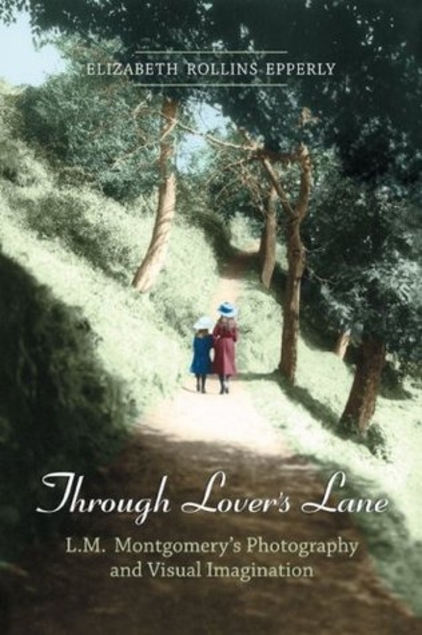 Through Lover’s Lane by Elizabeth Rollins Epperly is a nonfiction book about Montgomery; specifically, her “photography and visual imagination,” according to the subtitle. This seemed to have a new angle on Montgomery and her life by exploring her photography, which I’ve encountered only through the photos she included (and were subsequently included by editors) in her journals. I’ve also learned that I’m more interested in literary criticism that focuses more on Montgomery’s life vs. the larger world around her. And finally, I’ve read a previous book by Epperly, The Fragrance of Sweet-Grass, which explored romance in Montgomery’s novels and was well-done. So all looked promising! But this turned out to be a mixed book. The part on the photography sadly didn’t grab me. I think it may have been hampered by printing restrictions. Only 35 photos were included (not that many when much of the discussion centered around repeated patterns in Montgomery’s photos), and they were all clustered in a photo section midbook, requiring a constant flipping back and forth. There were some insights about Montgomery’s search in other landscapes for the patterns of Lover’s Lane, her most beloved path in Prince Edward Island, and how those same patterns appear in her fiction. But this also got too esoteric and obscure at times even for me–and I have a VERY high tolerance for dry detail if it relates to Montgomery. The “visual imagination” part of the subtitle went better for me. The two were separated in the book, if not by section title still by focus. The latter part of the book explored Montgomery’s love of color and use of description in her novels. This was much more engaging, and I did notice some new things while reading The Story Girl as a consequence–like just how often Montgomery describes colors, and how that helps to paint a more vivid scene. It’s interesting that there IS a book out on Montgomery with this level of detail, to consider her photographs aside from her writing. I never knew that!